Over the past decade, the popularity of yoga as a form of exercise and relaxation has skyrocketed in the United States and worldwide. There’s at least one yoga studio in almost every city now, and yoga accessories are available in a wider variety than ever before. But strangely, despite yoga’s near-universal appeal, the standardized sizing of yoga products have continued to limit the practice’s accessibility to a significant portion of the population: men and people who aren’t tiny. Fortunately, the era of limited accessibility for larger yogis has come to an end, thanks to a new line of products from Yeoman Gear. 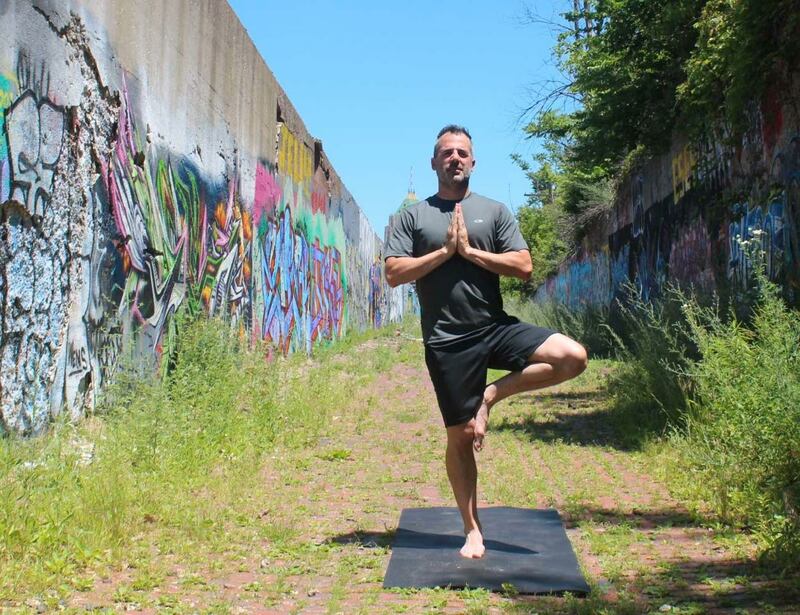 Yeoman Gear’s mission is to supply yoga gear for men and other yogis who find that standard yoga accessories don’t give them the space they need to comfortably stretch into various poses. After launching a successful Kickstarter campaign in June and entering into production earlier this year, Yeoman Gear’s products are now available for purchase and ready to ship. 1. The Yeoman Yoga Mat is a longer, wider, thicker yoga mat. Measuring 78” x 30,” the Yeoman Yoga Mat is a full head’s length longer and hand’s width wider than a standard yoga mat. This provides ample room for yogis of any size to move freely from pose to pose without a need to readjust or a risk of disturbing their neighbors. With a thickness of 8mm, it’s also twice as thick as a standard mat, to help it stand up to the wear and tear of regular usage. 2. The Yeoman Yoga Block is a larger, thicker yoga block designed to help men and people who are not tiny keep their balance while doing yoga. The Yeoman Yoga Block consists of 295 cubic inches of high-quality foam, compared to a standard yoga block’s 162 cubic inches. This makes it big enough to sit on or use for balance and support, but still small enough to grab with one hand. 3. The Yeoman Yoga Strap is a longer, wider, and thicker yoga strap, designed to be a hands-free carrying solution for yoga mats of any size, including the larger Yeoman Yoga Mats. It can also be used for stretching, but its primary purpose is to make carrying your yoga mat a breeze. Yeoman Gear products are now available through Amazon Prime, and ship anywhere in the United States. To learn more about Yeoman Gear and its journey from successful Kickstarter funding to sale through Amazon Prime, visit the website at http://www.yeomangear.com. Tom Nardone, Founder and President of Yeoman Gear, is available for questions, comments, or conversations at 1-800-809-0610.